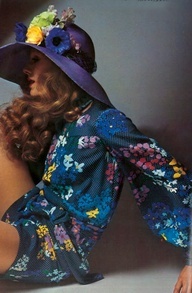 In the past week or so I have been majorly lusting over a late 60's boho look for spring. I love that second look. Bring back long flowy dresses for day, I say!